Parking and an entrance are in the back. The Hong Kong Bakery & Bistro has a full menu of Chinese dishes, and (this is where your ears perk up) dim sum made to order. This isn't frozen-then-reheated-to-order dim sum. No. It's fresh. When I went mid-afternoon on a weekday, they had already sold out of a good number of dim sum dishes, so be prepared for a limited selection during their grand opening time period. 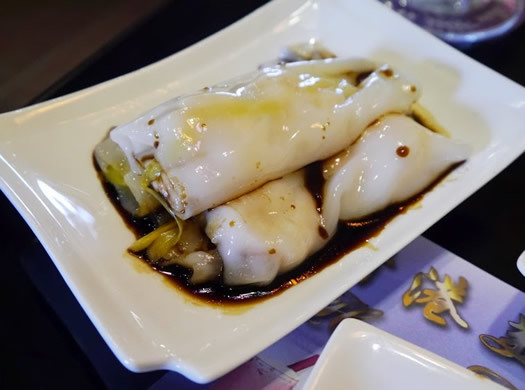 They have MADE TO ORDER RICE ROLLS (cheung fan). These special treats are full of texture and flavor that absolutely have to be enjoyed as freshly-made as possible. When fresh, they are slippery, chewy, soft, supple affairs swimming in a sweetened soy sauce. Shrimp is my favorite filling ($4.75), and the Hong Kong Bakery puts a twist on the classic by adding green scallion into the filling. The duck-filled cheung fan ($5.75) are 5-spiced savory delights with just enough veggies to add a textural contrast. Price-wise, they're a bit on the steep side for cheung fan if you're used to NYC-prices, but they are generously portioned and the quality of the noodle is impeccable. Plus, it's cheaper than driving down to Flushing or Manhattan for "real" cheung fan (depending on how many you can eat). 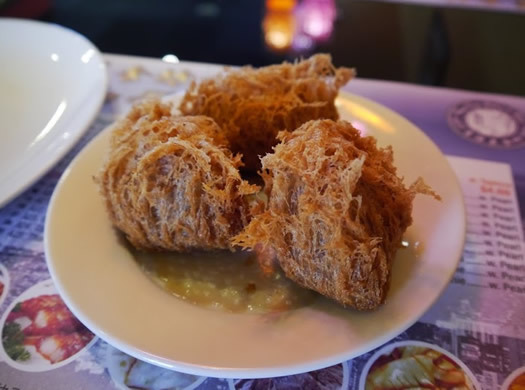 The deep fried taro dumplings ($3.75) are crunchy and lacy on the outside, but the mashed taro on the inside is creamy and stuffed with ground meat. Heavy, but oh so good. 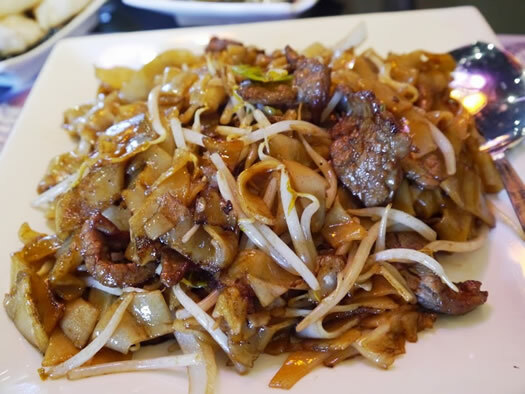 Their beef chow fun is also an excellent combination of flavor and texture -- soft pieces of rice noodles, slices of beef, bean sprouts, and onions, all kissed with char from the wok. The beef and noodles are soft and tender, while the onions and bean sprouts are lightly cooked and retain a refreshing crunchiness. 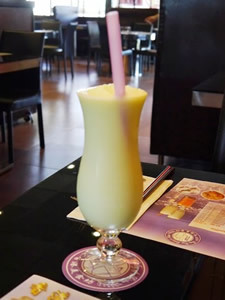 I picked up a honeydew smoothie ($3.99), which was lightly sweetened and refreshing for a warm summer day -- no powdered smoothie flavors here. There were small bits of honey dew in my icy smoothie as well. You can get them with boba for an extra $0.70, but I think the sweetened tapioca pearls put the smoothie in dessert territory. One more thing: The Hong Kong Bakery & Bistro is currently unable to accept credit cards, so bring cash. Albany Jane writes about her food adventures at Albany Eats. Do they have the ability to help someone with celiac disease navigate the menu? Any establishment that has shark fin on the menu will never get any of my money. Completely unacceptable! The made-to-order dim sum sounds fantastic, as do the other ACTUALLY fresh items. I very much look forward to giving this place a try. Thanks for the nudge, Albany Jane! Just wondering if this leaves the Asian Supermarket with no prepared food up in the front or if someone else took it over. Also wondering what effect this will have on Emperor's business. I have to say that they have the more inviting entrance of the two, even though you have to walk past the garage turned kitchen. The Emperors is downright depressing, as is the bathrooms, and general decor last time I was there (it's been a few months). I'd like to think that they will stand side by side fairly well, but I really like Dim Sum, and also had the chow fun this weekend and it was a good meal..
Great news! My husband and I went there last Saturday and they accepted my credit card. I've been following this fantastic eatery from the first day they opened as just a bakery on Route 7 in Latham to their current expansion into a full service restaurant with all my favorite Chinese dishes, freshly prepared and delicious. Beats going to Chinatown and the quality is just as good. Highly recommended. Yum Cha was good. . .Miss their whole in the wall location in Central though when prices were a tad less expensive. . .It is a family run operation having seen at least two of their daughters grow up while serving at their two previous locations. . .
Do you really feel that way, or are you merely jumping on the bandwagon of a recent hot news topic? At any rate, your comment is mute since the possession and sale of shark fins was banned by Governor Cuomo last week. Yes, Jenn, other people read the New York Times too. Yum, this place has great Chinese food. We had dinner at the restaurant this evening and our meal was excellent. We had tofu with minced pork (mapo tofu), beef chow fun with black bean sauce, and water spinach (ong choy) with fermented bean curd. Service was very friendly also. You'll be pleased to know that I'm not just jumping on the shark fin bandwagon because of the recent legislation. I've known about the cruel process of shark fin production for many years and have actively avoided restaurants that serve it. @Jenn - fyi, the owners have decided to take shark's fin dishes off their menu. I'm surprised that this place moved in right next door to Emperors (unless they're owned by the same people) since they're offering similar cuisine. 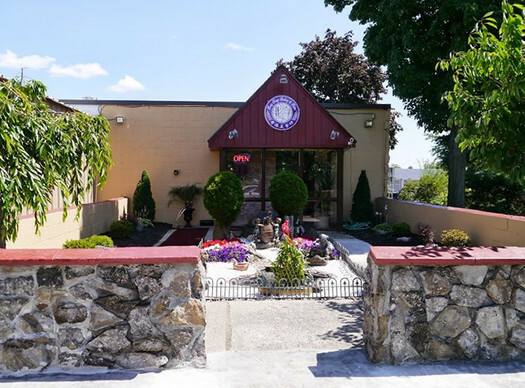 However, I would be very happy if they somehow managed to put Emperors out of business since that place is horrible and I don't understand why it is succesful. They charge $13-14 for entrees with tiny portions which are mediocre at best while most chinese restaurants or places which serve asian cuisine usually charge about $8-9 a plate with generous portions. I feel that you might even actually get better "chinese" food across the street at PF Changs for about the same price you would pay at Emperors. Update on Emperors, they shut down in December and have not yet re-opened. Something about health code violations. 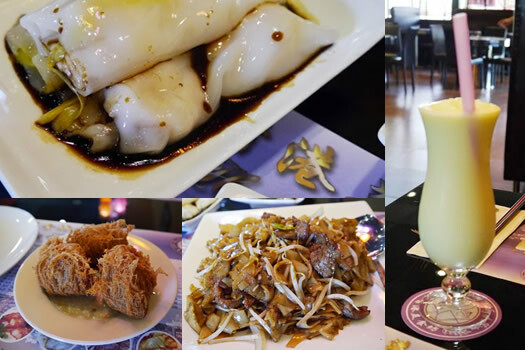 Hong Kong Bakery & Bistro has been my go-to place for authentic Chinese food, hands down. Their food takes me back to my days in HK, service has improved tremendously since July and they are so clean and comfy. They have a special Chinese New Year menu up now, time to eat!